Orange Coast Chrysler Jeep Dodge Ram FIAT serves a large region of Southern California including: Costa Mesa, San Juan Capistrano, Newport Beach, Mission Viejo, Huntington Beach, Los Angeles, Long Beach, Riverside, Garden Grove, and all of Southern California! With such a wide geographic reach, it makes sense to come in and visit us. We offer an extensive selection of both new and used vehicles, so there is something for everyone! Online Experience: We have an excellent internet sales staff with many years of experience satisfying our Orange County customers’ needs. Our online inventory is updated daily, ensuring that whichever vehicle you come in to see will be on the lot. We have become the leader in online new models in Orange County, as well as, used car sales in the Southern California Market. We make an effort to provide a lot of information about each of our new and used cars in Orange County, but feel free to request more information, set up a test drive, or inquire about financing! Getting a car loan with Orange Coast Chrysler Jeep Dodge Ram is easy! In Person: Our friendly and knowledgeable staff will help you pick out a vehicle that meets your needs with No Hassles Allowed! 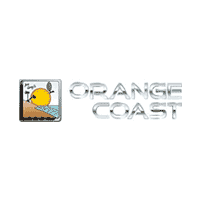 Our Selection: Orange Coast Auto Group has an excellent selection of 1000 new and used cars, trucks, minivans and SUVs. We also carry a huge inventory of factory certified pre-owned Chrysler, Jeep, Ram, and Dodge models. We specialize in low prices offering the absolute best prices available in Southern California, all posted right here on our website. Our Guarantee: All of our new and used cars come with our 72 hour/250 Mile Unconditional Money Back Guarantee. You can learn more about our guarantee by giving us a call! Outside of our wide selection of new and used models, the knowledge and dedication of our staff ensures a smooth and seamless process whether you are buying a car, requesting parts or getting serviced in Orange County. The experienced team in our service center can help you with everything from a basic oil change to more serious electrical and mechanical issues. We challenge you to find a Chrysler, Dodge, Jeep, Ram, FIAT dealership that can offer the same selection of vehicles that you will find here. We are constantly looking for ways to better serve our customers and community, and therefore welcome feedback at any time. We understand the value word of mouth has, which is why we strive to create the best possible experience from start to finish for every single customer at our dealership.